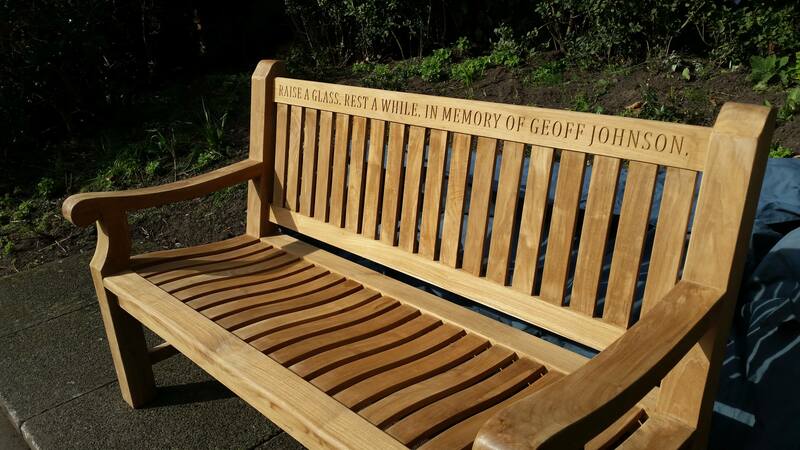 On the 22nd March 2015 the family of the late Geoff Johnson presented the Club with a memorial bench in his honour. Family members, Club members and Model Engineering Society members were present. Click on image to see larger picture. Please don’t sit on it at once although that would be funny. put lots of booze in his Christmas mince pies. the dark beer will always be in sight.